2013. 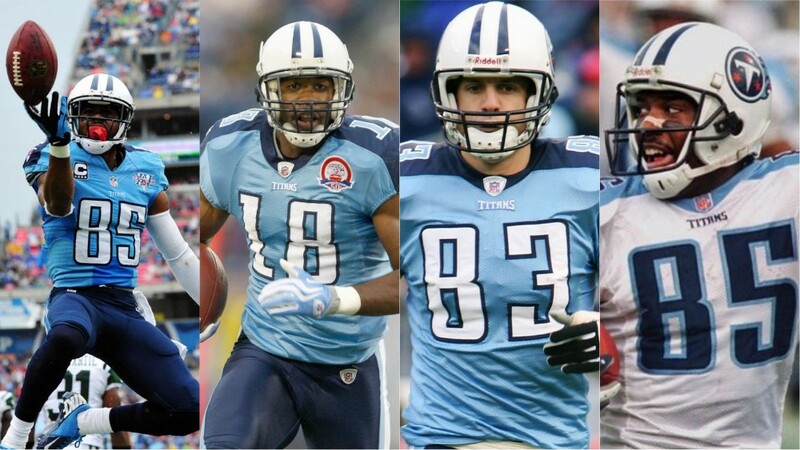 That was the last year the Tennessee Titans had a wide receiver amass over 1000 yards in a season. In his sophomore campaign, Kendall Wright had 1,079 and only came away with two touchdowns. You can do the math. It’s been five NFL seasons since the Titans have had a true number one receiver. Only four receivers have surpassed the 1000 yard mark for Tennessee since the turn of a century. Derrick Mason had four seasons through 2001-2004. Drew Bennett had a successful 2004 campaign as well. Nate Washington became the third receiver to do so in 2011 and Wright in 2013. What will it take for the Titans to have a receiver consistently put up numbers? Everyone had huge aspirations for Corey Davis this year. Several times didn’t it look like Davis was going to sliver out of his norm but went back to not producing? We can all agree that it’s hard for a team to stay consistent not having the same coach for years and years. 1. Adam Humphries. 2018 treated Humphries really well. He finished with new career highs in receptions (76), receiving yards (816) and touchdowns (five). The former Clemson Tiger has upped his receptions, receiving yards and touchdown in each of his four seasons. Despite his frame, he’s managed to play in 47 of 48 games in the last three seasons. Many teams will be looking to add young, quick talent to the slot position and Humphries fills that role. 2. D.J. Metcalf. Metcalf earned All-SEC honors in 2017 with seven touchdowns, averaging 16.6 yards per catch. His second injury at Ole Miss put him out mid-season in 2018, scoring five touchdowns in sevens game and a monster 21.9 yards per catch. He also broke his foot in 2016. The only concern is the injuries but if he is healthy, this is a must draft for the Titans if they don’t sign someone from free agency. 3. Chris Hogan. It only makes sense for another New England Patriot to join forces with general manager Jon Robinson in Tennessee. Hogan also has the numbers to be a consistent back up to Davis. In 2018, Hogan had 532 yards with three touchdowns. Keep in mind, New England also has a lot of weapons so Hogan is probably not getting utilized to his potential. Just something to think about. There is no telling what the Titans will do to find the player they’ve wanted/needed for a long time now. The receivers are nothing without a protected quarterback from a good offensive line. Now it’s just trying to find those pieces to put together to build a masterpiece.